For many Americans, Donald Trump is a nightmare but not to the bankers and cabal, to them he was the desired candidate. Donald Trump is set to “rebuild” American infrastructure which aligns itself directly with the United Nations Agenda 2030, specifically sustainable development goal nine. To top that off Donald Trump is the key player in the multipolar world order that the secret cabal has been constructing for decades. Sounds good, right? Not exactly, putting millions of people to work is a fantastic idea. And rebuilding our infrastructure is another amazing idea. But, the problem lies in what the design of said infrastructure is. Over the past several months Freedom Fighter Times has reported on the globalist agenda to rebuild global infrastructure, which will set the stage for a one world government. America has yet to see the plans and architecture for our coming “new” infrastructure. But, if it looks anything like Parag Khanna’s map for connectography – then the actual motives behind Trump become apparent. 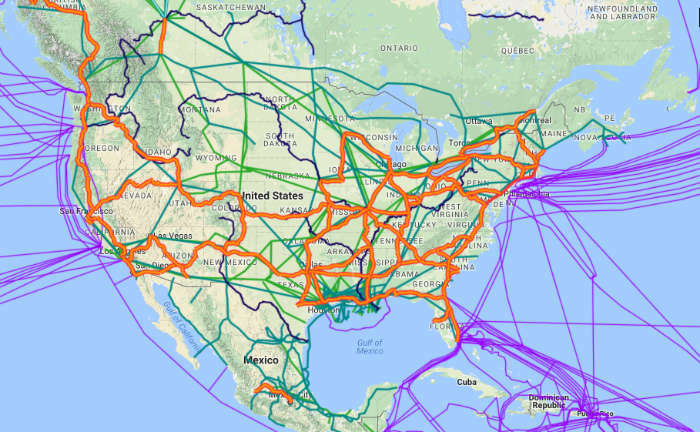 Parag’s map for global infrastructure is based on connectivity, geography, and the FEMA regions the full explanation of Parag’s agenda can be seen below. The United States National Intelligence Council predicts that by 2025 the state of the world will have been radically transformed. Released in 2008 the forecast indicates that global politics will be one of multipolarity rather than unipolarity or bipolarity. So how does that trend fit today with Donald Trump as president-elect? Perfectly. Under Obama, the U.S.A’s global stance weakened drastically. Under Trump, the USA will gradually shift back into a “power” position. Interestingly enough, while Obama was in office; both Russia and Asia grew drastically in “strength.” Meaning that the state of global politics moved directly into the multipolar world being referenced. “A system of multipolarity increases rivalry in world politics, the reason being that many states of similar strength compete for power and influence. These states are often uncertain of other states’ intentions, which increases the probability of military action. Also, the power balance in this type of system is changing constantly, as a result of changing alliances. In addition to her comments, directly after the Brexit took place, both France and Germany signed secret documents pertaining to a plan to abolish the European Union and build a European Superstate. The superstate would potentially house all countries within the EU, a unified law and taxation system, abolish the member countries central bank and currency, and the ES would house its own military. That would effectively bring about another superpower to the world stage and would enter the world into the total state of multipolarity. While the USA “feels” as though we now have a commander and chief rather than a satanic boy who plays golf, the problem lies in the totality of the agenda at play. Being that Obama allowed the rise of Asia, Russia, and other countries to take similar power stances to that of the USA; the USA is now entering back into that power position. Meaning, world political rivalry will be at an all-time high. Donald Trump’s campaign brought back the hopeful Americanism, and nationalism that this country lost; which again is a good thing. But, if the plan is for global rivalry then it’s a bad thing. 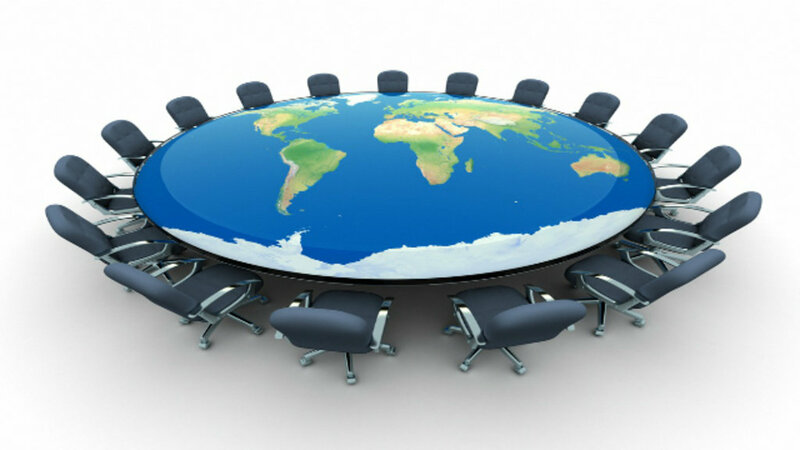 Global think tanks, all predicted a world political stance of multipolarity; meaning that the USA and the world are all in phase three of building the New World Order. The United States surfaced as the sole dominating power in world politics as there were no real challengers to their hegemonic position. This allowed greater room for the superpower to maneuver and to get involved in international issues that didn’t necessarily coincided with the national interest. We can describe this new political situation as being unipolar. After the collapse of the short-lived multipolar world which led to World War Three, a new world will commence. That international order would be the return of an oligarchy, or in other words, the world would be centralized under a single governance. Under this New World Order, there would be no borders, a single currency, a single religion, operated under highly advanced technology (Artificial Intelligence). Only time will tell which agenda is being played out, as of right now; the political multipolarity ideology is what is most apparent. However, a lot will be determined on how much the US turns inwardly to “heal.” Before the selections of 2016, globalists far and wide predicted that a massive foundational shift was afoot. The question is, was Donald Trump that foundational shift in their agenda?